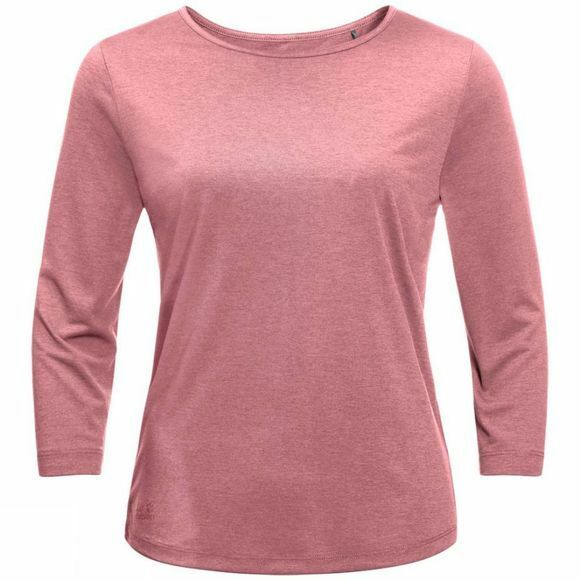 The Womens JWP Long Sleeve T-Shirt from Jack Wolfskin will handle the transition from steep mountain trails to city cycle paths with ease. It wicks perspiration quickly to the outside to keep your skin feeling dry and has a simple, casual style. The single jersey fabric has a soft, cool feel and stay-fresh properties to reduce unpleasant odours. This T-shirt is part of JW Pack collection, created for commuters, urban nomads and weekend city-hoppers. All of the products in this innovative capsule collection are ultra light and packable and ideal for lightweight travel. The signature look of the series is all about clean silhouettes, contemporary designs and a fusion of outdoor and urban style.